Today let’s celebrate with a Vin d’Honneur! 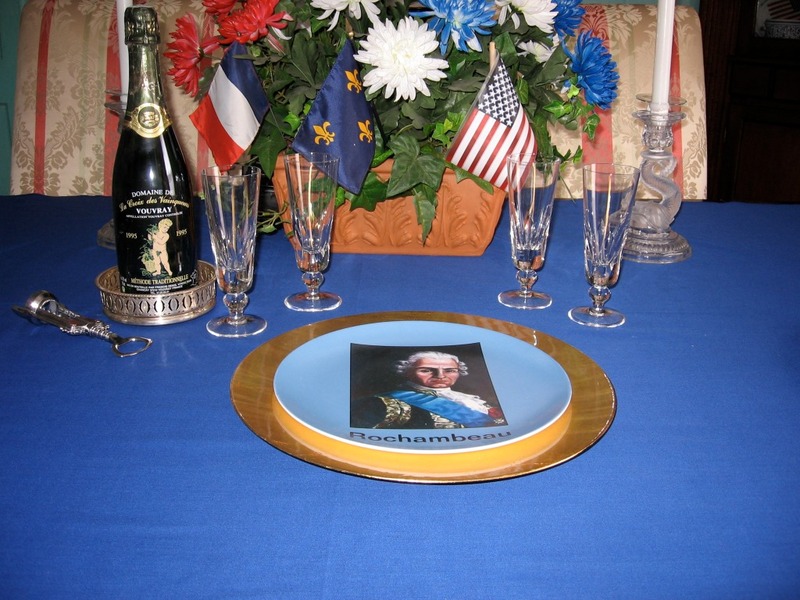 It’s time for a special champagne toast to General Rochambeau on his birthday, born July 1st 1725. Let us fill our Baccarat champagne flutes from the paquebot Liberté with a vin blanc pétillant de Vouvray, and use our commemorative plates created for this occasion by Heather Woodring using the original painting of Rochambeau by my very good friend, Rachel LePine. In 1781 Rochambeau celebrated his 56th birthday in Ridgebury, CT, en route to join forces with the Continental Army of General George Washington in the Hudson Highlands of New York State. We remember him still, after 289 years of birthdays!